Norman is the founder of BizSkills Academy Inc. a social enterprise that is providing a self-paced start-up program that helps potential & early-stage entrepreneurs to transform ideas, talents, passion, and skills into a viable business opportunity. Today, BizSkills has a powerful team behind the company. Daisy Gobina and Megan Campbell were the first people who shared the passion in social innovation projects like BizSkills. They co-founded the company with Norman. Soon after, Amey Zhang and Frank Huntley joined the team as well. They have built a team of individuals who believe in the power of education to change the lives of many, especially young graduates who can’t easily find employment opportunities. The company now has a team of eight people volunteering day and night to make this vision a reality. They have incredible support from the Kingston Innovation Park, and the Dunin-Deshpande Queen’s Innovation Centre (DDQIC), as well as the Smith School of Business at Queen’s University as well as the Kingston Economic Development Corporation. Users get access to a platform that empowers them to learn while they are developing potential businesses at the same time. It has been designed to help young people and women, especially students while they are still in the “educational institution’s safety net” before the opportunity to experiment, fail, learn and grow bypasses them. Norman’s experience draws from 15 years of small and medium enterprises support, start-up entrepreneurs’ support, training workshops on entrepreneurship and business planning for potential and early-stage entrepreneurs. BizSkills Academy’s concept was developed as a partial requirement of Norman’s master’s degree at Queen’s University, Kingston, Ontario, Canada. In other words, he built BizSkills Academy Inc. partly from his passion working on social innovation projects as well as part of his academic requirement to obtain his degree, i.e. “preaching water and drinking water.” In addition to this, BizSkills Academy made further progress through the support of the QICSI program, an on-campus accelerator at Queen’s University as part of the 2018 cohorts. Norman’s entrepreneurship training programs have produced more than 1,500 entrepreneurs in the East African region. He enjoys facilitating both individual and business transformation, empowering people with ideas to transform them into real-world working business opportunities. Norman has equally contributed to developing huge social impact projects. The International Labor Organization (ILO) and the UNWOMEN commissioned one of these projects to help women involved in cross-border trade between Rwanda, Burundi, and the Democratic Republic of Congo improve their working conditions. The recommendation to put in place a physical facility on either side of the border to enhance the safety of these women was adopted, and it received in excess USD 5 million in funding. He has also worked on a project to help farmers in Rwanda through SNV Rwanda– the international Dutch development organization procured his previous company’s entrepreneurship training programs for a period exceeding five years supporting farmers in the beekeeping, coffee, and biogas business sectors. The chamber of agriculture and livestock procured his services to help them conduct a baseline study and use that information to develop a new strategic plan for the organization. A component of this strategic plan was developed into a project called Linking Farmers to Markets in Rwanda, which secured funding in excess of 5 million Euros from the European Union through the Royal Kingdom of the Netherlands embassy in Rwanda. Norman is a Belgian National, he was born in Rwanda but he lives in Canada. 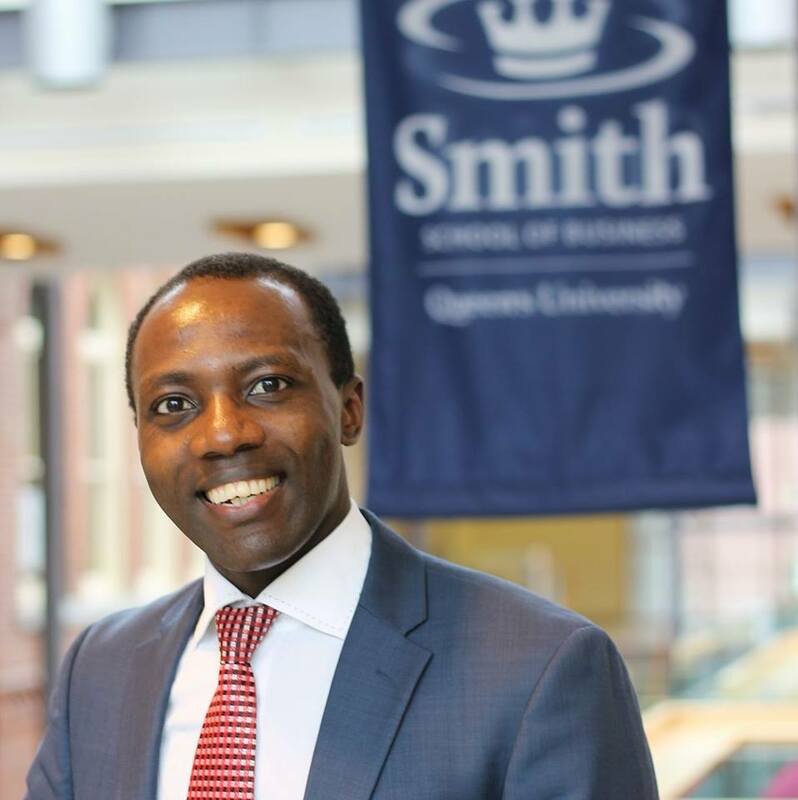 He holds a Master of Management, Innovation & Entrepreneurship from the Smith School of Business at Queen’s University, Kingston, Ontario, Canada. He also holds a Masters in Leading Innovation and Change from York St. John University, United Kingdom. He has an undergraduate degree in marketing management from the Catholic University of Eastern Africa from Nairobi, Kenya. Being born in Rwanda, having become a refugee and growing up in foreign countries, seeing how people like you for who you are without caring much about your nationality made me believe that if we open up, the world has very many great people despite the challenges we live in. I remember when I did my primary school, I had to walk every single day about 8 kilometres every single day to and from the school. My parents made sure that we went to school, whether we wanted it or not, there was no choice. Because of war and the genocide in Rwanda, I attended four different high schools in three different countries, so you can imagine going through that experience at an early age from the time, I was about 12 years old! So, I have always wanted to start businesses or help people start businesses. When I was doing my undergraduate in Kenya, I remember I used to have a grass woven shelf/ stand to use to sell tomatoes, tomato paste, onions, sweets, and biscuits while I was in the refugee camp. The stand was almost similar to the above. To get the initial capital to start this rodeo, I became a security guard at two international organizations which supported refuges in the camp called CONCERN and OXFAM. I believe, at the time, my inspiration was my dad. My dad had been a businessman ever since I can remember. I never used to see him home because we would wake up when he has gone, and we will sleep when he has not yet to come. A few lucky days per months, you will see him. Then, a few bad days I also got to see him! He is the most hardworking man I know! He is still at it today, working hard and over 70 years old, strong with a great vision. While at the Catholic University in Kenya, I also was involved in two business initiatives. One was printing T-Shirts under the brand of the university with catchy and great slogans, of course, approved by the university. The other one was an event in which we hired up, and coming artists in Kenya paid them like 300$ per night and entered into an agreement with the owner of a restaurant called Park Place located on Langata – Rongai road, near the campus. We will have the artists perform live, collect proceeds at the entrance, then the owner of the club will make more money selling alcohol and food while we made money from gate collections. This was my humble beginnings. I started this business with 500$ from school fees, and then I repaid it after two events and had money also to start the T-Shirt business. Today, I am inspired by many great entrepreneurs. My dad is always among them when it comes to dedication, hard work, and persistence. Social entrepreneurs who inspire me are people such as Bill Drayton, Scott Harrison, and Muhammad Yunus. I also like traditional game-changing entrepreneurs like Bill Gates, Elon Musk, Mark Zuckerberg, Steve Jobs and many more. People who are naïve enough to believe that they can start something and make it happen through the process of trial and error, despite the challenge ahead of them. Because, if you do nothing about what you believe in, which what majority of us choose to do, to play it safe, how can you create? How can you innovate? You need to be naïve enough to believe that sometimes in the future, all the unanswered puzzles in your idea or concept will finally link to make sense. It is not many people who choose this journey, but once you do and enjoy the process of overcoming uncertainty, it is almost impossible to stop. I compare this experience to be similar to that one feels when they watch a great movie with the wildest suspense possible. One gets to watch it all eyes on the screen to uncover what happens next, and when it ends, one feels like it has not ended, viewers will continue creating their own storyline of what would have happened if certain actions had happened or had not happened, on and on…. that is how lovely I find the uncertainty associated with entrepreneurship to be in my journey. My unique strategies are simple. One, I believe in sharing an opportunity with others who share the same passion and vision with me. I strongly believe that rather than owning 100% of nothing, it will always be better to own 1% of more than zero. I at least I own a small fraction of something that exists rather than owning 100% of an idea or a fantasy. Secondly, I believe I have seen the worst in my life already. As such, the only worse that is remaining is the end story of each one of a human being, death. So, with this mindset, I do believe in openness and trusting people, and I believe in the power of networks, with these two shields, I do believe there are no risks associated with what I am passionate about that can not be mitigated. So, I choose a project and I go all in, no reservations no complains and no way out, it has to work, my job is to make it happen. In this process, I get to meet great people like you, Duku Fore, who help me by doing what you have just done. I call people like angels and light on my entrepreneurial journey. Third, I believe in compromise. I do believe that I can never have it my way without working hard to earn it, because there is no one else who can come in to do it for me. Every other person comes in to help facilitate the journey to go faster, open new opportunities, make introductions and so on. So, with that mindset, I do believe that I can not live like someone else, a friend or someone I admire and then get also to do a job or a business I want to work on. It is impossible to have everything your way, especially when you were not so lucky to be born or to be brought up with huge financial wealth around you. Forth, believe in myself, my abilities but working hard to avoid to be arrogant. Working really hard to make sure that I am coachable and approaching people to help overcome tougher challenges. Going back to the person who has helped open a new door or overcome a challenge to thank them for the support. Providing feedback whenever I can of where I am to people who work hard to help me overcome challenges. Fifth, also, the notion of building a business because there is money in that business or because there is a major pinpoint o problem you are solving by setting up the business. I find that if you setup a business purely driven by money when that money is not forthcoming, which is often the case in the early stage, it is easy to give up and be declared failed… however, on the other hand, if you start a business because you are delivering a highly needed solution, as long as that need exists whether there is money or not, the persistence level is going to be high and hence being there long enough until luck meets the business and money comes as a result of running a business to solve a problem not running a business to make the money! Sixth but not last, I do believe my secret is helping others. I have gotten to appreciate the fact that when people see you help others, they also want to help you. Not necessarily the people you help, but many other people. I don’t know why that is the case, but in my case, the more people I help, the more help I get! Sounds funny but so true. What mindset distinguished you from others who were doing the same thing? How did you develop it? Believing that the worst happened in the past, I have seen them all. The best is yet to come and I am the only one and the people who share the vision, passion who can make it happen. I do my homework and part of the process first and then others will join in. Knowing that it is not going to be easy but it is doable. Being ready for the challenge and willingness to go in 100% and seeking help whenever I am overburdened. How did I develop this? So,I have some young brother called Nshuti, Manza, Uzarama, and Gabiro. I went to Belgium for the first time in 2013. We had not met for a very long time, maybe over five years. So, I was over 30 years old, and they were between their 15th to 22nd I think, not very sure! So, I get in Aalst, Belgium, and these kids start narrating how I used to be fast running. I was naïve enough to be caught in the mix of this great challenge of running with these kids. Little did I know that I had aged, I had that type of plunging stomach, and I had not done a fitness exercise for over five years. So, in my mind, I thought that I am still young that I can beat these kids in a marathon or something. The next day we go running, they start on a very high tempo, and I only managed to run not more than 500 meters at their , and I was exhausted, I could not run again. I walked back to the house. The first of these kids to arrive, Nshuti had done over 10 kilometers! I was stunned, I could not believe it. Running is not easy, you have to learn to like it. With this great failure among my young brothers, I quickly discovered the hard way that I am a man of the past. I approached them, and they all became my coach, alternating to help me improve my technique and persistence. I quickly linked the process of learning how to run t entrepreneurship because of the resilience and persistence required to endure that slowly increasing pain until it turns into energy and juice muscles because of mindset and learning how to enjoy small and progressive improvements than concentrating on the pain. I started running about 30 kilometers, I have run a semi-marathon in Rwanda, I have done a charity run for the indigenous community in Kingston and so on. This is how I learned the process of coming up with the toughness associated with entrepreneurship, learning how to do not give up, learning how to look for small and incremental wins and celebrating them. I don’t think my younger brother know how instrumental they have been in this process. This is the first time I am revealing why I finally fall in love with running and how it has helped me mentally in entrepreneurship! My definition of success if somewhat confusing I think. Under one perspective, because of what I enjoy doing, empowering or bringing the best out of others, I enjoy derived success of the people or institutions I work hard to support. This is primarily my intrinsic definition of success. The other definition I often love is the ability to solve a challenge and being read to deal with the next challenge. As simple as it may sound, life is all about solving challenges. So, I don’t expect to solve a challenge and that is it, challenges have ended. I enjoy solving a challenge, after a challenge, after a challenge. So, the more challenges I solve, the more successes I enjoy, which to me aligns very well with the notion of celebrating small incremental wins rather than waiting to celebrate the tip of the iceberg…. While the really iceberg, small successes are covered by the water! What do you think is the main reason why some people face failure when going after their vision? The greatest reason I believe is the inability to do their part of the puzzle and being humble enough to ask for support. The other reason I believe, some of us are extremely arrogant that when we are given support, advice, we don’t go ahead and test the feasibility of that advice working or not working! The nation that the entrepreneur will do it all by himself, that they want to own 100% of the cake, which is doable but makes the job more challenging and more difficult to succeed — inability to build an incredible around the idea. They are looking for opportunities far beyond our skills, passions, talents, experiences, and communities. I have come to realize that most people think that great ideas are far beyond their reach. I find this to be not true. I strongly believe that great ideas live amongst us, in our very local environments, we have to work hard enough to identify them in our skills, passions, talents, experiences, and communities. Finally, I believe that mindset is key. I find it to be easier to give up on continuing to work on the vision because the challenges keep coming, thus some of us choose to give up than to continue the grind. So, rather than the business idea failing, the mindset of the entrepreneur fails the potential business idea because her or his mindset has given up prematurely. A mindset that understands that it is hard, that it is not easy, but it is enjoyable, that the only way is small incremental successes than overnight success, this kind of mindset, helps one appreciate and celebrate small wins, and these small wins accumulated to be the fuel/ gas powering the entrepreneurial journey. I attended a live fire-chat session attended by Sir Terry Matthews, one of Canadian billionaires, a honest and great who invests in many start-ups. He made some great remarks. One that stuck with me was this this idea that he only asks every start-up entrepreneur 4 questions. What are your sales this quarter? What are your sales last quarter? What are your sales previous quarter? What are your sales the other quarter? If the answer to these questions is not showing a growing trend and there is no justifiable reason, he says there something wrong with the idea or the team or the strategy. He goes further to say that if you have 50,000 lines of the best code in the world, but there is no single dollar in revenues associated with that business opportunity, it is as good as having just an idea. The point being, the job of an entrepreneur is to sell. Great entrepreneurs sell concepts or people start investing in ideas before products or services are developed because they believe into the cause or problem to be solved by that product or service. Hence why a growing trend in sales is essential. This is what I would like everyone out there to know! Entrepreneurship happens outside our businesses, meeting those potential clients, discussing the challenges or pain points and convincing them that there is a solution you are working them that will help them and asking them to start to book their share of the service by making down payments. A great example of this in a big company is the Tesla semi trucks. Rumors have it that when they unveiled the first models, they made over 350 presales and the buys will have to wait for a year or more to receive the first truck. So, big companies use this strategy so can us, small guys!